Batman V Superman: Dawn of Justice may have fallen flat with critics and taken a hit at the box office this past weekend, but surely everyone agree that the fight scenes were awesome, right? 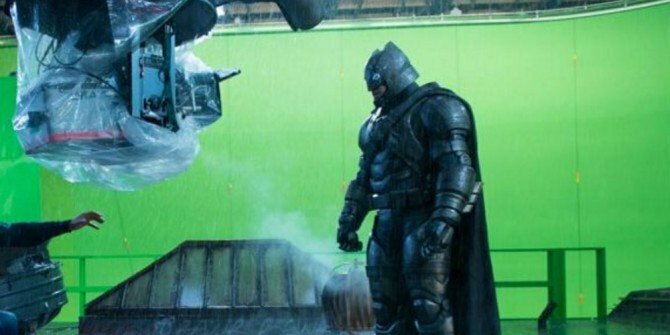 Either way, while most assumed that the armour worn by Ben Affleck in the movie was CGI, a new behind the scenes image courtesy of Clay Enos reveals that the actor really was wearing the bulky outfit on the set of Batman V Superman: Dawn of Justice. Just like in the movie, it looks like it was torn straight from the pages of Frank Miller’s The Dark Knight Returns. Enos has been working with Zack Snyder since Watchmen and his photographs really stand out from those that we normally get from superhero movies in the build up to their release. 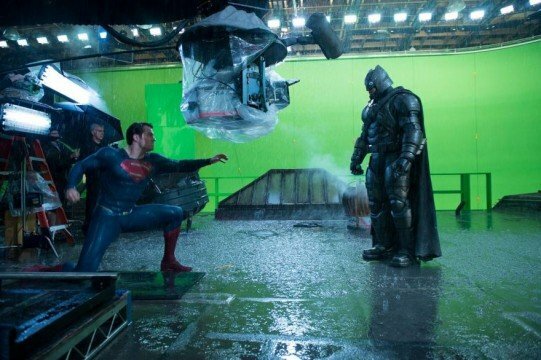 This particular behind the scenes shot is definitely pretty neat and it only makes the wait for the sure to be fascinating featurettes on the Batman V Superman: Dawn of Justice Blu-ray that much tougher.